My first glimpse of Myanmar was, when I walked across the border between Myanmar & India to visit a small village for a few hours on my first trip to Arunachal Pradesh. From Nampong, the last town in India, we drove through Pangsau Pass, up to the border and walked across to Pangsau village in the northern part. It was just a peek into the country but enticing enough for me to dream travel Itineraries to Myanmar! I love to travel with family and close friends but mostly it’s my travel-buddy, my husband V 🙂 End of last year while our dear friend Dr.M was over to Singapore and we were making travel plans, he suggested Myanmar, and my eyes lit up! And soon we three were off on our journey to explore Myanmar for 15 days. From Mandalay we took a short flight to Bagan, where we stayed for 4 days exploring the Buddhist temples & Pagodas on an electronic bike! From Bagan we hired a taxi to Kalaw, a hill station in the Shan Hills of Myanmar, via Mount Popa, a small hilltop pagoda. Stayed in Kalaw for the next 2 days before we started the trek through the tribal villages of the Shan hills to the freshwater Inle Lake. After a 3-day (60 km) trek to Inle Lake, relaxed and cycled around nearby places and went on boat rides exploring the lake. From Heho airport near Inle Lake took a flight back to Mandalay. Those 15 days went by so fast, it was almost magical and by the end I was craving for more! I definitely plan to explore the less touristy side of Myanmar next time, till then a photo essay of the sights and experiences from Myanmar, as posted on my Instagram. The ancient city of Bagan in Myanmar – The land of Pagodas. A trekking high! A 60 km hike from Kalaw to Inle Lake over 3 days with Beautiful views of the Shan Hills & cheerful Burmese people, is the best way to experience the magic of Myanmar! Myanmar offered a varied set of experiences from historic temples to nature hikes in the hills and boat rides exploring life on a lake, but it was the delicious Burmese food, readily available salads (and avocado!) and the people who stole my heart! Did you know the Burmese use tea leaves as a food ingredient? Other than brewing a tea, the leaves are fermented to make a special Burmese tea-leaf salad and its yum! More detailed stories soon! 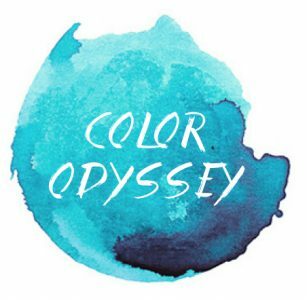 Follow me at Color Odyssey for more travel stories. More posts on Myanmar – Lotus weavers of Inle Lake and Rustic Kalaw. My friend and I also spent four days in Bagan (and also four days in Yangon, Inle Lake and Mandalay, each), and I feel like it was a perfect amount of time to explore those magnificent Buddhist temples while keeping a relaxed pace. Your photos are so magical, Ritu! Thanks Bama 🙂 Myanmar is quite magical even in touristy places like these, wonder how awesome offbeat places would be! Amazing! You capture so many beautiful pictures and places!